The Nook is a line of tablets and e-readers sold by the Barnes & Noble company. The line features an E Ink based e-reader with a built-in screen light, as well as 7 inch and 10 inch LCD tablets produced by Samsung. The Nook Glowlight is an e-reader that uses a 6-inch E Ink screen. This screen is a low-power display that does not need to be powered to maintain an image, drastically increasing the battery life of the device. Where many portable devices can hold a charge that will last a matter of hours, E Ink based devices can function for weeks on a single charge. The Nook line of tablets are Samsung Galaxy Tab 4 devices. 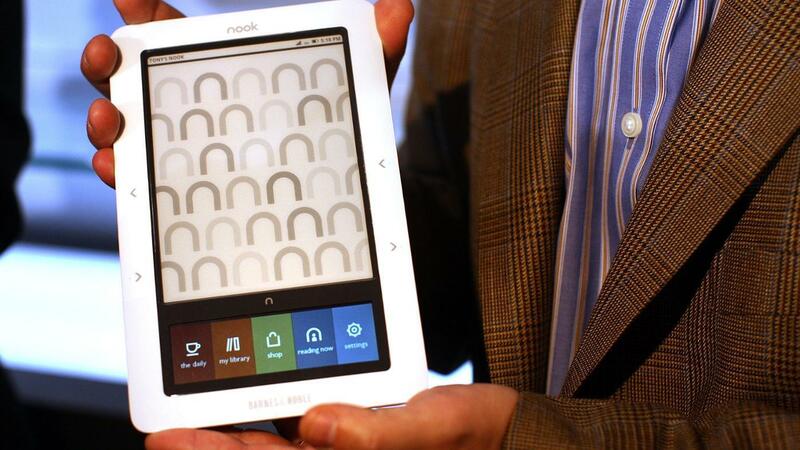 The Nook 7.0 and 10.1 can function as e-readers while also being able to play audio and video content. The smaller tablet is available with up to 32 gigabytes of storage, while the larger tablet offers up to 64 gigabytes. All Nook devices can display e-books, magazines and comics purchased from the Barnes & Noble stores as well as EPUB formatted books purchased from third-party vendors and PDF documents. The company also offers free in-store technical support, as well as allowing customers to browse any Nook title for an hour while in a Barnes & Noble bookstore. Does a Kindle Fire Have 3G? Does Barnes & Noble Offer Online Coupons?